Colorful vector illustration of the main characters in Rovio’s popular multi platform game “Angry Birds”. Cartoon landscape with big sun and long rays, colorful birds and pigs with different sizes, colors and facial expressions. Free vector illustration for all games, gaming, animal characters and pop culture projects. 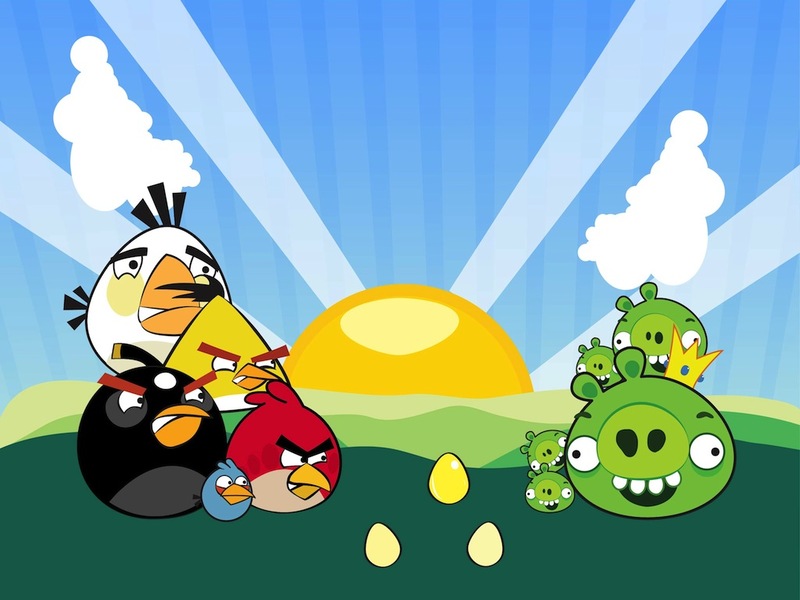 Tags: Animals, Cartoon, Character, Colorful, Eggs, Fun, Game, Gaming, Pigs, Rovio.